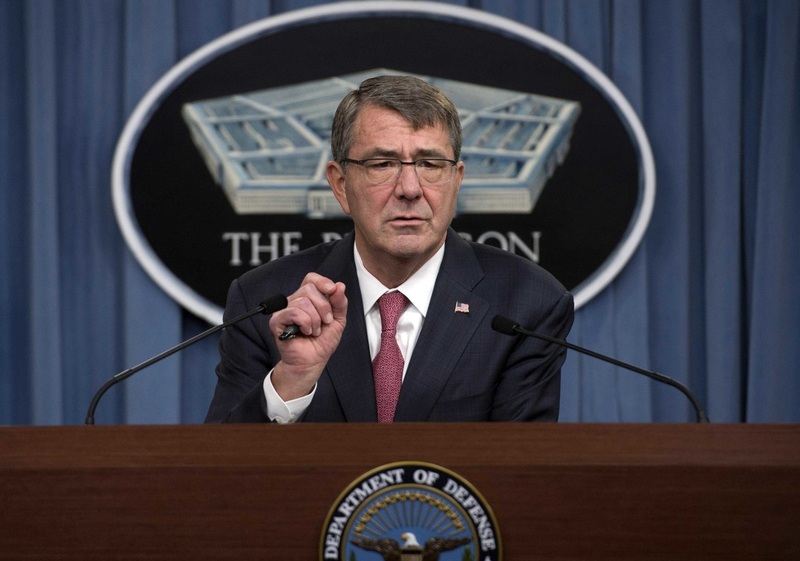 Defense Secretary Ash Carter announces his Women in Service Review during a press brief at the Pentagon, Dec. 3, 2015. "They'll be allowed to drive tanks, fire mortars and lead infantry Soldiers into combat," Carter added. "They'll be able to serve as Army Rangers and Green Berets, Navy SEALs, Marine Corps infantry, Air Force parajumpers, and everything else that was previously open only to men." Despite real progress in recent decades and lately, opening more than 111,000 positions to women across the services, Carter said that about 10 percent of military positions - nearly 220,000 total - have remained closed to women. These included infantry, armor, reconnaissance, and some special operations units, the secretary said. In a memorandum to the secretaries of all military departments and others, Carter directed the military services to open all military occupational specialties to women 30 days from today - a waiting period required by law - and by that date to provide updated implementation plans for integrating women into the positions now open to them. Carter said Deputy Defense Secretary Bob Work and Air Force Gen. Paul Selva, vice chairman of the Joint Chiefs of Staff, will oversee the decision's short-term implementation, ensure there are no unintended consequences to the joint force, and periodically update Carter and Dunford. "Fully integrating women into all military positions will make the U.S. armed forces better and stronger, but there will be problems to fix and challenges to overcome," he said. "We shouldn't diminish that." "That's why we have the finest fighting force the world has ever known," he added, "and it's one other way we will strive to ensure that the force of the future remains so, long into the future."